I will be blogging not only about games. I will also talk about comic books, events around the Bay Area and the Let's Play videos that I do. Sometimes, I will throw in a random review about businesses. I will be talking about four different video game consoles, and why they failed and/or succeeded during it's lifetime. 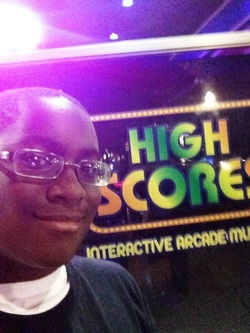 I haven't done a post in a while, but I am here to tell you about this nice place called High Scores Arcade. This place is an ARCADE MUSEUM!!! (you have to say this in a loud booming voice). Bay Area Gamers had the opportunity to interview the creator of "Digitized Ramblings of an 8Bit Animal."